"There are great legal minds; there are those who can also communicate well on television; then there is Dershowitz. The professor is uniquely capable of arguing a position, while putting a premium on legal and ethical legitimacy, not its popularity. Bravo, Dershowitz!" "Anyone interested in the true merits of criminal law and very fine writing must read Alan Dershowitz's book." “A quintessential example of truth overcoming lies." “Alan Dershowitz speaks with great passion and personal courage." “Love him or hate him, Dershowitz has lived a life that matters, hugely and enduringly. He is a man in full at a time when most of us aspire to be little more than a presence on Twitter." "Alan Dershowitz doesn’t twist the constitution to fit an agenda. He tells you what it REALLY means. That’s why he has always been my go-to guy on the law and the Constitution." 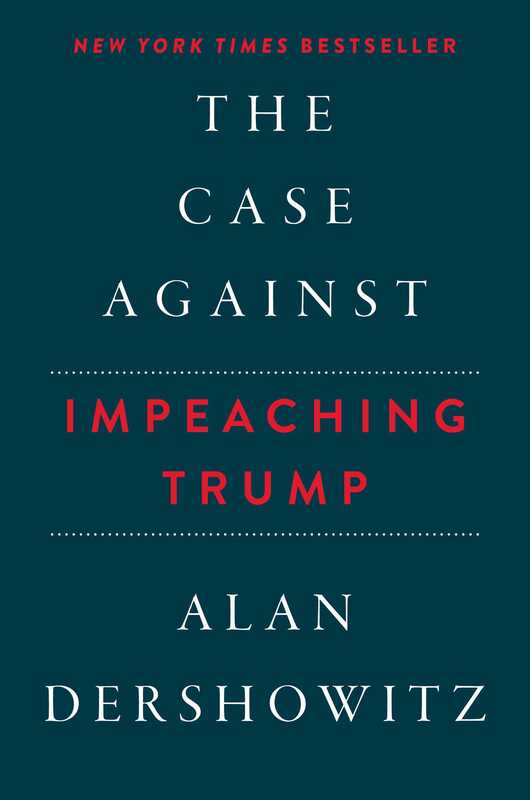 "This book will reinforce Alan Dershowitz’s well-earned reputation as a brilliant legal analyst who, although often swimming against the established current, is usually right…His analysis seems flawless to me." "If Dershowitz isn’t getting in your face about something, it s as if he’s not doing his job. "